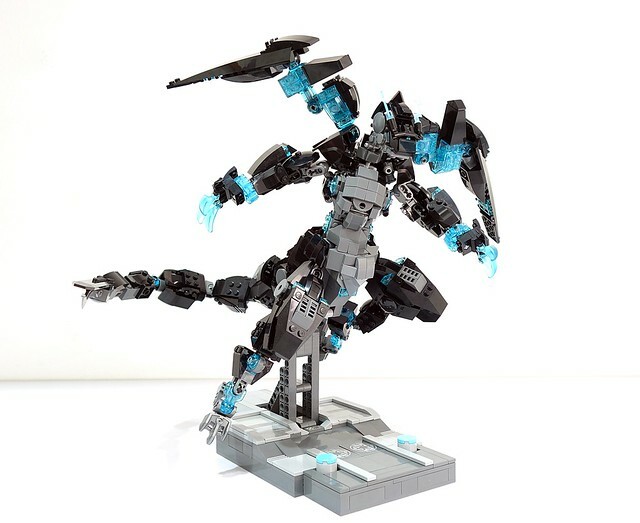 This awesome figure by builder chubbybots is the result of mashing up two Pokemon and drawing inspiration from there. It takes a a little imagination to see Dragonite and Charizard X in this mech, but the influence is definitely there. The results are something totally new, and pretty spiffy if you ask me.